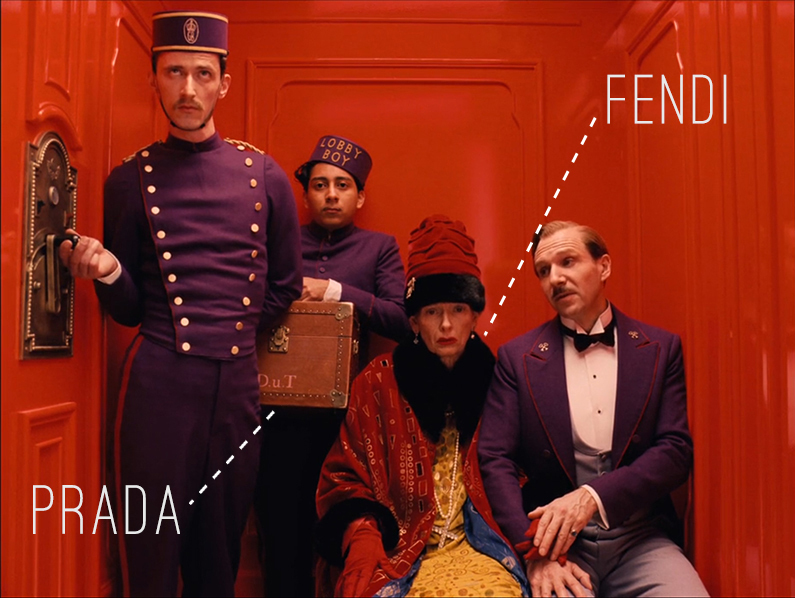 Did you spot Prada and Fendi in Wes Anderson's latest film, The Grand Budapest Hotel? 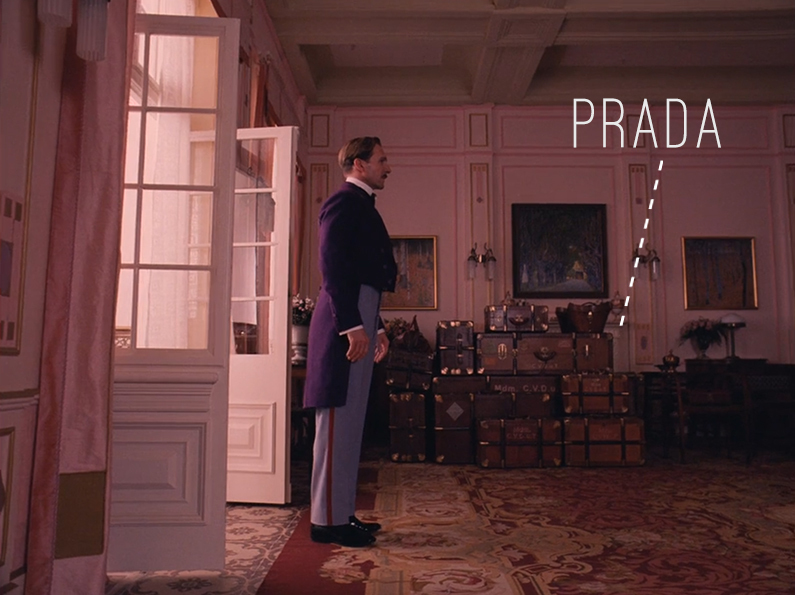 Miuccia Prada devised a spectacular 21-piece luggage set for Tilda Swinton's character. 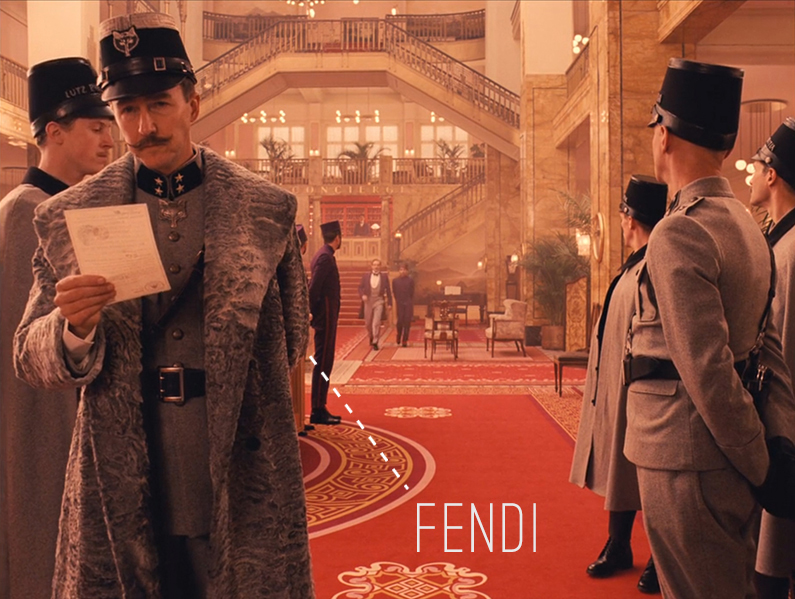 Fendi provided furs for clothes designed by Oscar-winning costume designer Milena Canonero. Need any more reason to watch this masterpiece? Canonero lives up to her reputation, cemented by the incredible costumes she designed for Marie Antoinette. In the below photos, you can see that even clothes bearing no touch of the almighty Italian brands look like haute couture. 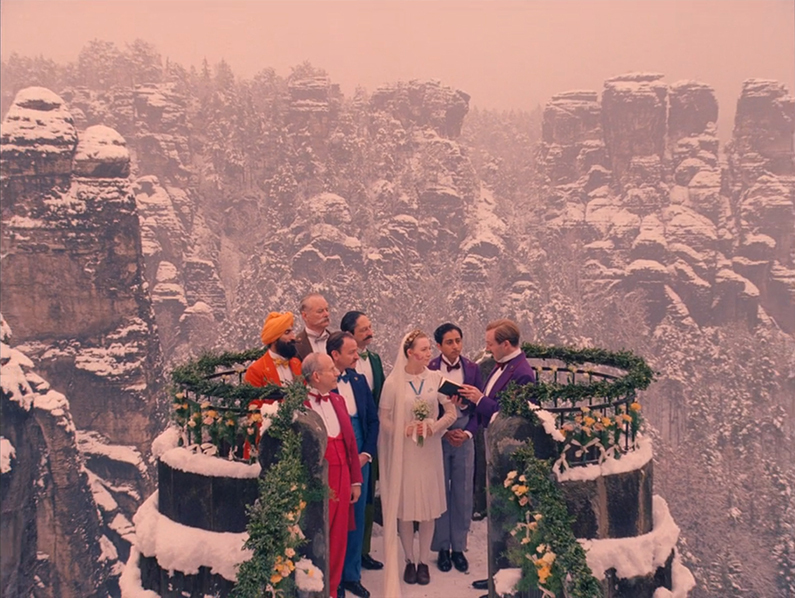 Then again, you wouldn't want to show up at the glamorous Grand Budapest Hotel looking anything but. 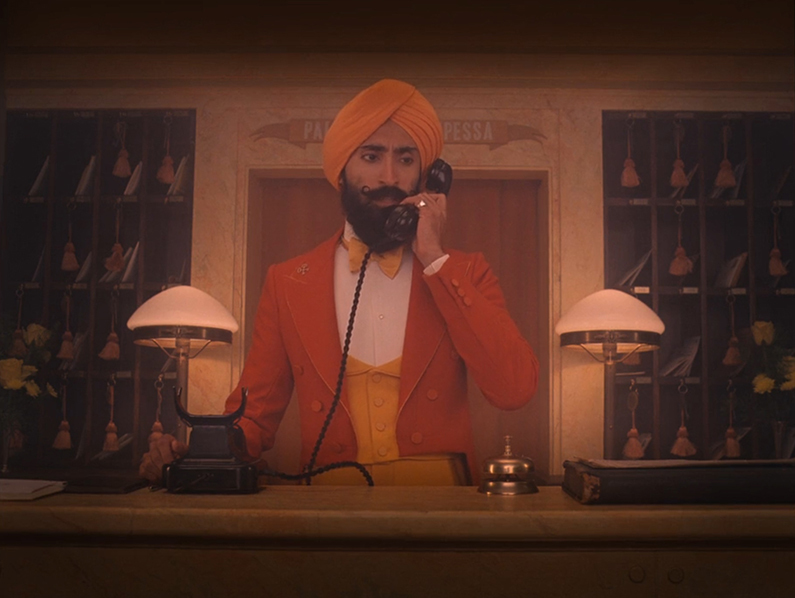 This isn't the first time Wes Anderson has teamed up with Prada and Fendi. 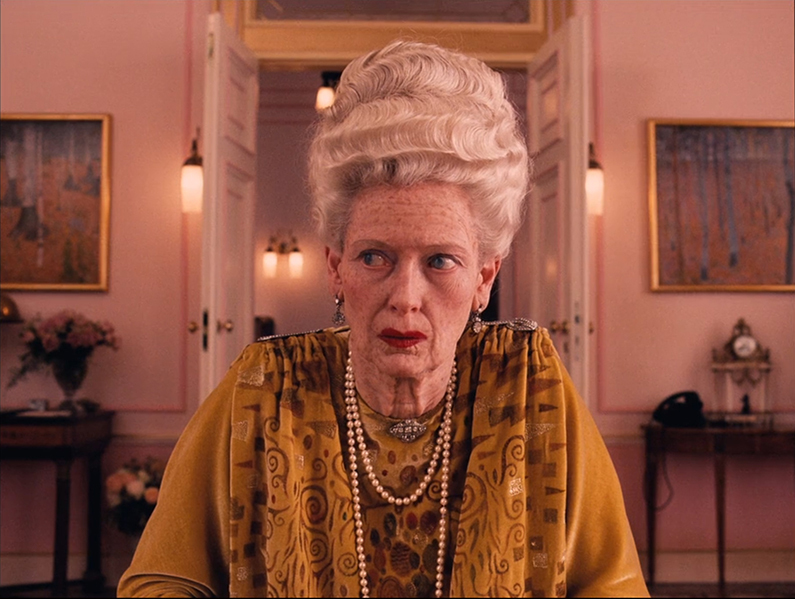 The latter made the iconic mink coat Gwyneth Paltrow wore in the director's 2001 film, The Royal Tenenbaums. For Prada, Anderson made two short films, Castello Cavalcanti and Candy. 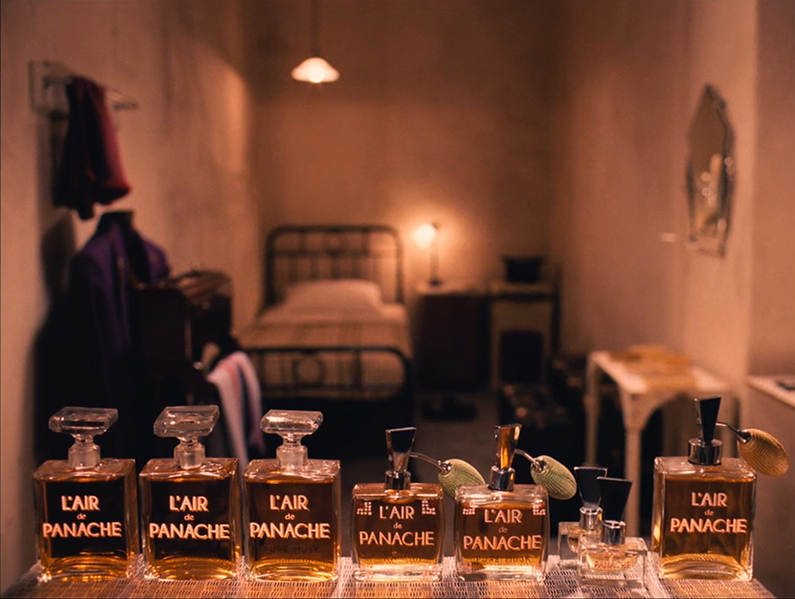 In case the intriguing bottles of L'Air de panache caught your fancy, it appears that fiction became reality via the expertise of French perfume boutique Nose. I can't think of another instance when a perfume was created after a movie character. Fashion and perfume houses, take note.